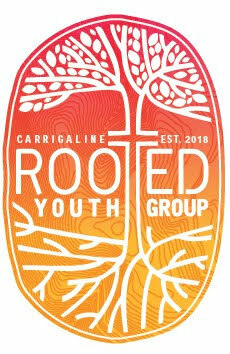 Series: Carrigaline Baptist Church (1), Messy Church, Holy Church - 1 Cor (14), Luke and the return of Christ (4), Confident Fellowship - 1 John (9), Guest Speaker (6), Special Topic (7). Isaiah 42:1-9 (Part of the Carrigaline Baptist Church series). Preached by Jonny Grant on December 27, 2015 (Sunday Morning). 1 Corinthians 10:1-11:1 (Part of the Messy Church, Holy Church - 1 Cor series). Preached by Jonny Grant on December 20, 2015 (Sunday Morning). 1 Corinthians 9:1-27 (Part of the Messy Church, Holy Church - 1 Cor series). Preached by Jonny Grant on December 13, 2015 (Sunday Morning). 1 Corinthians 8:1-13 (Part of the Messy Church, Holy Church - 1 Cor series). Preached by Jonny Grant on December 6, 2015 (Sunday Morning). 1 Corinthians 7:25-40 (Part of the Messy Church, Holy Church - 1 Cor series). Preached by Ralph Depping on November 29, 2015 (Sunday Morning). 1 Corinthians 7:1-24 (Part of the Messy Church, Holy Church - 1 Cor series). Preached by Jonny Grant on November 22, 2015 (Sunday Morning). 1 Corinthians 6:12-20 (Part of the Messy Church, Holy Church - 1 Cor series). Preached by Jonny Grant on November 15, 2015 (Sunday Morning). 1 Corinthians 6:1-11 (Part of the Messy Church, Holy Church - 1 Cor series). Preached by Jonny Grant on November 8, 2015 (Sunday Morning). 1 Corinthians 5:1-13 (Part of the Messy Church, Holy Church - 1 Cor series). Preached by Jonny Grant on November 1, 2015 (Sunday Morning). 1 John 1:1-7 (Part of the Guest Speaker series). Preached by Michael Grant on October 25, 2015 (Sunday Morning).